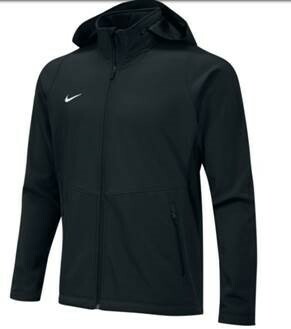 Players and fans will be warm on the sidelines or before the game wearing the Nike Sphere Hybrid Men's or Women’s Full- Zip Jacket. Players can stay warm and loosen their muscles during warm-ups and drills thanks to Therma-FIT fabric, which blocks out wind and rain for comfort throughout chilly practices. With a packable hood, wearers can protect themselves against harsh weather conditions.